If there's one genre of films that I genuinely enjoy, it's cheesy B-movie creature features. A ton of these movies were released in the '50s and '60s, such as The Blob, 20 Million Miles to Earth, Forbidden Planet and This Island Earth. 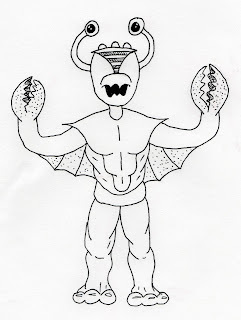 I drew inspiration for tonight's Draw Something installment from these old monster movies. 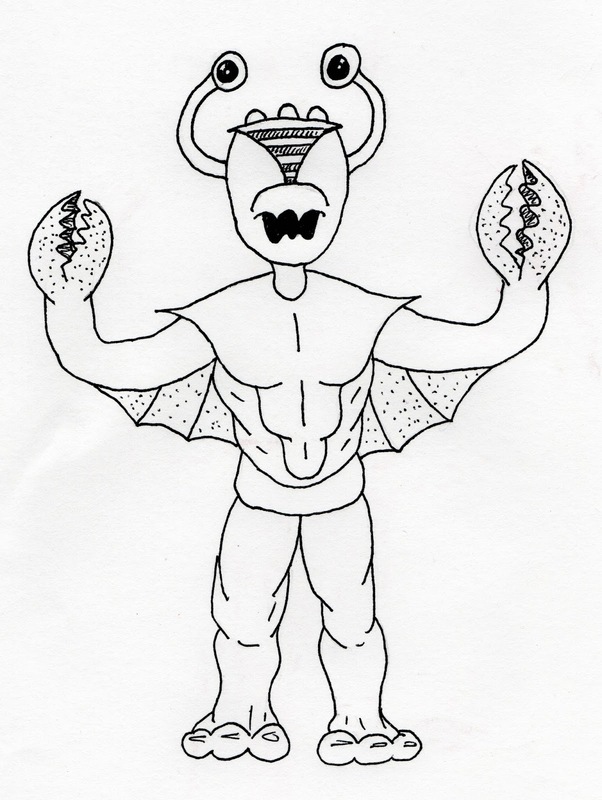 Here's a goofy crab monster. All it needs is a damsel to be rescued!